Ambic Laboratories has over 29 years of experience in the design, manufacture and installation of laboratory furniture. Ambic’s ethos is quite simple; we are genuine people making quality furniture comprising of a small group of engineers and master craftsmen working confidently together, building furniture to engineering standards to which we would like to own ourselves. All of our furniture is made to order therefore variations in colour, size and style are easily incorporated, and we are approved fabricators of solid grade laminates. We design our furniture to be tasteful, ergonomic and durable and we manufacture all of our products in house as this control over design & production ensures reliability and quality whilst eliminating hold- ups. We have the freedom to design individual items or complete installations for customers which we can then incorporate into our product range so please believe us when we say, “we can make anything”. All of our furniture is 100% solid including backs and drawers and is pre-assembled by our cabinet makers arriving on site ready for years of use. Our professional fitting teams are multi-disciplined enabling them to complete work in a fraction of the time of our competitors. 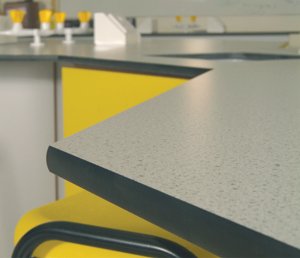 We supply directly to laboratories within both the commercial and education sector, ensuring any mark-up is eliminated, with savings passed on to our customers. We must be doing something right: all of our sales come from personal, word-of-mouth recommendations, and our business has expanded by 22% per year, every year. 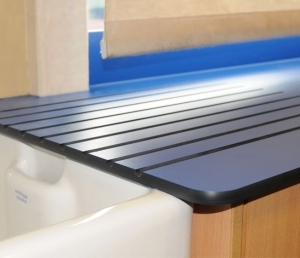 We fabricate solid grade laminate for laboratory worktops as it has outstanding properties. It has high resistance to chemical acids and alkali’s, it is impact and moisture resistant making this material a practical solution for many applications. 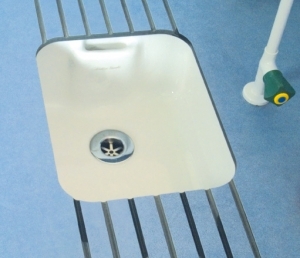 In addition solid grade laminate has a dense closed surface and impervious edges, which permit use in the environments where hygiene, ease of cleaning and disinfection are of prime importance. What happens next? Ok, so you’ve hopefully seen and heard enough from us to take a leap of faith and make contact with us! After an initial chat you are more than welcome to visit us at our factory to see for yourselves our capabilities and meet the team. You’ll be plied with tea or coffee (and quite possibly, doughnuts!) whilst we discuss your project, whether it be a one off bespoke design or a complete refurbishment, alternatively, you may want us to initially visit on site. 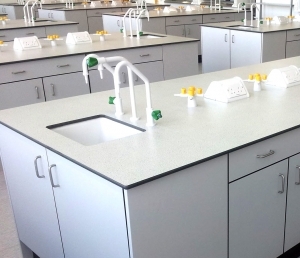 We engineer every solution with the same attention to detail and pride ourselves in the durability, strength and longevity of our laboratory furniture. We CNC machine all components, finish with powder coating, paint spray, laquer or PVC edging. 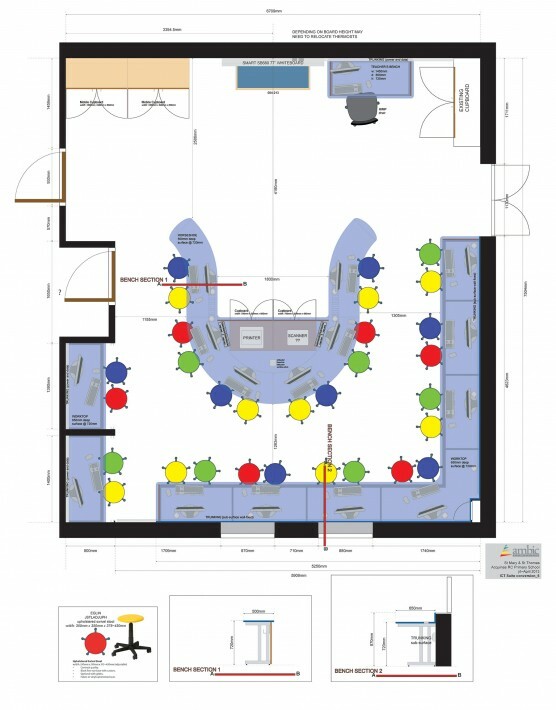 We can design and engineer pretty much any furniture solution prior to carrying out site surveys and installations using our own teams. Within our factory we also have our own company StellaBlast whereby we offer metal renovation, sand blasting, repair and powder coating. 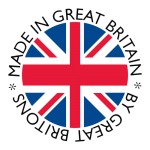 As we control all of the processes ourselves from concept, design, drawing and manufacture we are fully geared up to true bespoke manufacturing. Once we’ve discussed your project with you we’ll provide a no obligation detailed quote and CAD drawings for your approval. Once you’ve given us the green light there’ll be no stopping us. Rest assured, we are always up to date with building & health & safety regulations (we are registered with Chas & Constructionline). Give us a call today on Tel 0191 389 1888 to discuss your next laboratory project.